Peachtree Catering, the premier catering company of Greater Philadelphia, seeks talented event servers for our busy fall and holiday season. 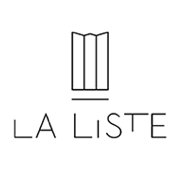 Ideal applicants will have at least 1 year of FOH experience working in either fine dining establishments or at special events, preferably in both an on-premise and off-premise capacity. The right person who has excellent customer service skills and an innate sense of hospitality will have the opportunity to become a significant member of our team. Candidates must be able to follow verbal and written directions in a timely manner. Our industry requires excellent attention to detail and follow-up skills. Candidates should be comfortable working all aspects of special events, including but not limited to: room/tent set up, truck loading/unloading, beverage service, buffet/plated dinner service and venue clean-up. Candidates must be punctual and have a polished, professional appearance. To excel as an event server, candidates should be able to learn on the job and perform with minimal supervision. We value team players with a sense of humor. Reliable transportation is a big plus but not an absolute necessity if you can navigate SEPTA and Lyft/Uber. Other pluses include RAMP certification, wine expertise, bartending training, kosher knowledge and BOH skills. Open weekend availability in September, October, November and December is essential. Our event servers enjoy very good hourly wages, flexible schedules and award-winning Peachtree cuisine. In addition, they may receive client gratuities and company bonuses based on merit. Most event servers work 1-2 shifts/week though some work 4-6 shifts/week during our busy wedding and holiday seasons. A motivated candidate will find this is a rewarding job with excellent opportunities for advancement! Please send us your résumé. In your cover letter, tell us about your favorite dessert including why it is your favorite. Who we are – Stone Soup, Inc., is dedicated to setting new standards in service, cuisine and the employment experience. Our goal is to collaborate with talented hospitality professionals and offer opportunities to learn and grow within the industry. 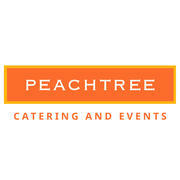 As part of that goal, we perform off-premise catering throughout the tri-state region as Peachtree Catering. Our exclusive venues include: Pomme, an 8000-square-foot contemporary clubhouse in Radnor on Philadelphia’s Main Line; and, our newest venue, Parque, a beautiful mansion in Ridley Creek State Park in Newtown Square. We are always in search of new opportunities. We seek inspired candidates who are passionate about food and about the guest experience.